The Oxford dictionary defines a blog as a regularly updated website or web page, typically run by an individual or small group that is written in an informal or conversational style. Nowadays, blogging has become one of the leading ways to generate interest online by creating all manner of content besides the mainstream social media. The premise that every business requires a blog is therefore more factual than ever if the said businesses are destined to survive. A couple of years back, a similar argument had been brought forth; only that websites then were the subject. Businesses have since embraced websites with immense benefits. Many small and large businesses are still unaware of the benefits associated with blogs. 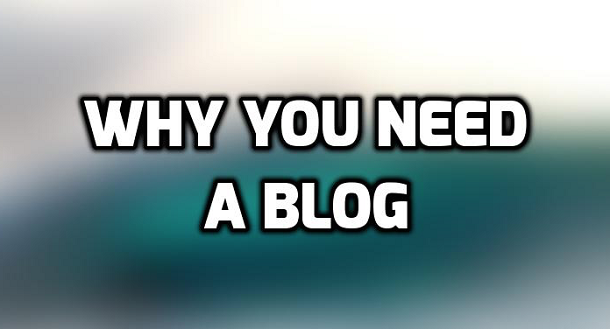 If you are a business owner, read on to found out the benefits of a having a blog. A business blog is a sure way to build authority in your industry by demonstrating great knowledge and expertise in relevant areas. Business websites are helpful but in this context, they are so yesterday. Most websites appear too formal and promotional and unlike blogs, they are rarely updated. Customers want to deal with knowledgeable and experienced people therefore updating your blog regularly is the best way of connecting with current and potential customers without coming off as too marketing oriented. Put yourself into the customers’ shoes. Explore problems and scenarios that they encounter in that particular field and address frequently asked questions by giving suitable answers and solutions. Give your opinions on the latest trends in your industry to portray yourself as a market leader. Marketing budgets especially for small businesses are too lean or non-existent at all. Business blogs linked to company websites and email signatures are great ways to achieve free advertising. Majority of potential customers use search engines like Google to search for products and services. Regular creation of content with use of SEO optimized keywords is a perfect way of generating huge traffic to the blog and subsequently to your website free of charge and boost sales. This eliminates the need to spend on sponsored links and Google Adwords to advertise your business. There is a great audience for blogs more than ever that has been fueled by the availability of internet and evolving social media trends. People are more interconnected than ever before. A business blog is the perfect launching pad for your branding activities. You can post content that details the intrinsic value of your brand and constantly engage customers while at it. You can also read the comments section to obtain valuable customers feedback and respond to customers’ comments and emails. The feedback from customers is very useful in coming up with innovative ways to improve your brands and establish them fully in the market. Social media buttons like: Follow, Like and Share are essential for all business blogs. We are increasingly witnessing an increase in the percentage of shared content from blogs on social media. A well-written blog post can go viral on social media in a matter of hours or days and that will generate great interest in your business products and services. This will no doubt have a direct impact on sales and in the number of potential customers that will follow your social media accounts. Use of catchy hashtags to alert your audience of new posts can easily get your business trending in social media. It is no secret that every business needs a strong social media presence as a way of building relationships with customers by reaching out to potential customers, engaging with existing customers and even running promotional activities. This is yet another reason why every business must have a blog. Many businesses have a strategic growth plan and consistency in business blogging is a long-term marketing strategy that will definitely guarantee the future growth of your business. Sustainable brands have continued to be developed thanks to strong customer relationships, networking and word of mouth marketing that come with exceptional business blogs. With time, business blogs help business grow a robust mailing list that can be used for future marketing, promotions and to keep the customers updated on your brands through periodic publications like newsletters. As you can see, it is essential for every business to have a blog more so if you are to see strategic growth and sustainability of your enterprise. Blogging platforms are many; Blogger and WordPress are some of the popular ones. These sites are easy to use and have simple plugins to help set up a business blog without much tech know-how. It’s not too late to start a blog for your business if you don’t have one. Start your blog today! Article contributed by Sheeroh Kiarie. She is a full time work from home online professional. She has been in online business for three years and absolutely loves it. She is very enthusiastic about the future of online business. She runs Work Online Kenya and a Blog that provides aspiring freelancers with helpful information about working online in Kenya and how they can make money online.